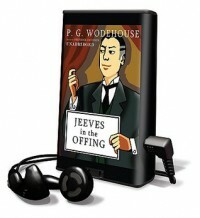 Briefly, Wodehouse's Jeeves novels are essential reading for my sanity. Even though the plots run through a generally familiar comedy of errors from one novel to the next, there is always something delightful and charming in Wodehouse's style of telling it. Like no other author, Wodehouse puts me in a better mood, lightens my load, and whisks me away with his fast-paced plots. I keep him in reserve to chase the blues away, though he's good enough to read as over as you get the chance.